The target lines are blurred when you don’t know what to believe. So you cannot attain anything, because you do not know where to aim. It’s the same way in giftedness. Rightly defining and knowing what it means and what your child needs will be the make it or break it moment. Your child needs to be given every opportunity to grow and thrive right where he or she is! That is why we want to take time in this series to debunk the myths and speak the truth. *Debunked: Average or below-average students do not look to the gifted students in the class as role models. Watching or relying on someone who is expected to succeed does little to increase a struggling student’s sense of self-confidence. Similarly, gifted students benefit from classroom interactions with peers at similar performance levels and become bored, frustrated, and unmotivated when placed in classrooms with low or average-ability students. Advocate for your child and look into ways to set him or her up for success in the classroom by testing for a gifted classroom. If this is not available as an option for you, we highly recommend our skill building academy programs. You can not only practice for all the tests with a membership from TestingMom.com, but we also offer great programs that will challenge your child in every area of study! Not sure about this? We invite you to check out a TestingMom.com membership today! Fourth Myth: All Children are Gifted. *Debunked: All children have strengths and positive attributes, but not all children are gifted in the educational sense of the word. The label “gifted” in a school setting means that when compared to others his or her age or grade, a child has an advanced capacity to learn and apply what is learned in one or more subject areas, or in the performing or fine arts. This advanced capacity requires modifications to the regular curriculum to ensure these children are challenged and learn new material. Gifted does not connote good or better; it is a term that allows students to be identified for services that meet their unique learning needs. If you see that your child is a fast runner, you get him or her involved in cross country or track. If you notice that your child has gifts in learning challenging materials–you want to provide those to help your child thrive and grow. There are so many ways to achieve this, as you want to fan into flame the gifts that your child has! You want to provide three things for your child: 1. Access to challenging materials–in the classroom and at home. 2. 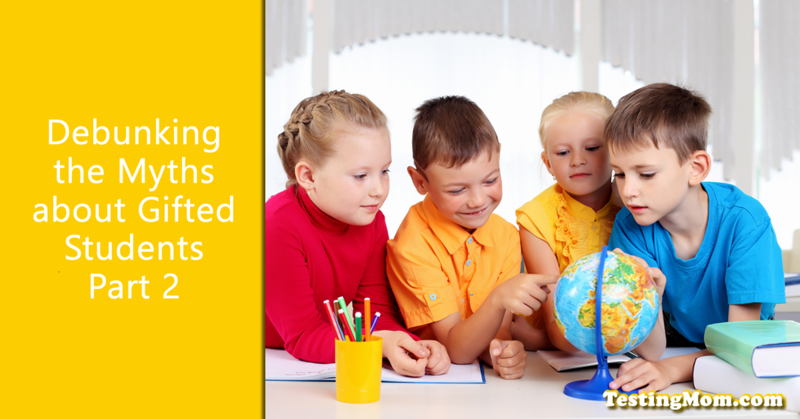 Opportunities to learn and grow in the areas, where your child is showing aptitude. 3. Practice! You want your child to continue to grow and that comes with a lot of access, opportunity and practice! Just like the greatest athlete or the genius mind, it takes a lot of all three to become the best your child can be. We provide all of these on our site, if you make it part of your routine. We also have some wonderful offline practice flash cards for many skills to build into your child: following directions, visual spatial, memory, math and more! Go to our store for more information. Join us next week for more myth debunking. It is an important topic and will surely pay off in the end.